Salmon’s thick, meaty consistency make it perfect for grilling. Its rich flavor profile matches well with everything from sweet brown sugar flavors to savory garlic and soy sauces. 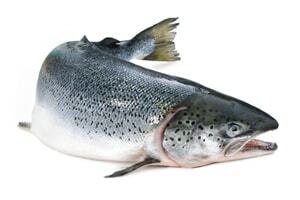 Loaded with omega-3s and vitamin B, salmon also provides serious amounts of protein – 17 grams in just a 3 ounce serving.